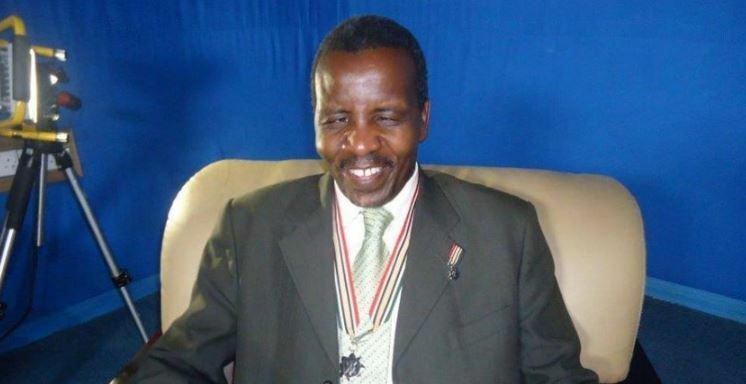 Veteran gospel musician Reuben Kigame has opened up about the loss of his first wife in an accident 12 years ago, saying it was paralysing. “It is not easy losing a friend because Mercy was a friend and my confidant,” Kigame says. In an interview with Word Is, Kigame said he was left with the task of raising his kids, which he says has been fulfilling in his life. “Raising my kids, especially the girls, has been so great. I could even take them to the salon and wait for their hair to be done and even cook together with them. I like being with my family,” he said. Kagame, who is visually impaired, has since remarried to one Julie, with whom he has a son. The award-winning gospel artiste also talked about how he felt when he was feted by former President Mwai Kibaki for his work in the industry. “It felt so nice to know that the former President had an idea of who I am. I didn’t know he really knew me. It felt so wonderful. Since then, I learnt that it is always good to do your things when expected, and you never know, someone will recognise it,” he said. Kagame says his latest song ‘Huniachi’ featuring Gloria Muliro, is a personal confession to God, having gone through too much in life. “He[God] is available for all of us. I had gone through a lot in life, like I had to shut down my radio station, losing in an election, and losing my longtime wife were some of the things I was looking at and reflecting on the whole journey with my God. It reminds me that God is amazing,” he said.